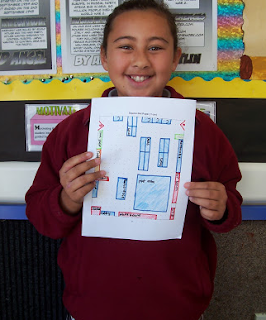 This is my scale drawing of my classroom. Miss Paton’s desk is opposite the art area. One of the computers is opposite the whiteboard. The netbook cupboard is opposite the bookshelf. Miss Paton’s cupboard is diagonally across from the back door.